With a world championship on the line, the stars of NHRA drag racing return to zMAX Dragway this weekend for the 11th annual NHRA Carolina Nationals with one thing on their minds - earning a coveted Wally trophy. The fourth of six events in the 2018 NHRA Mello Yello Countdown to the Championship, the NHRA Carolina Nationals bring unprecedented pressure for drivers to win, which means a heart-pounding show like never before for fans as tandem 10,000-horsepower, nitro-burning machines power down the dragstrip in the fight to remain in this year's title hunt. 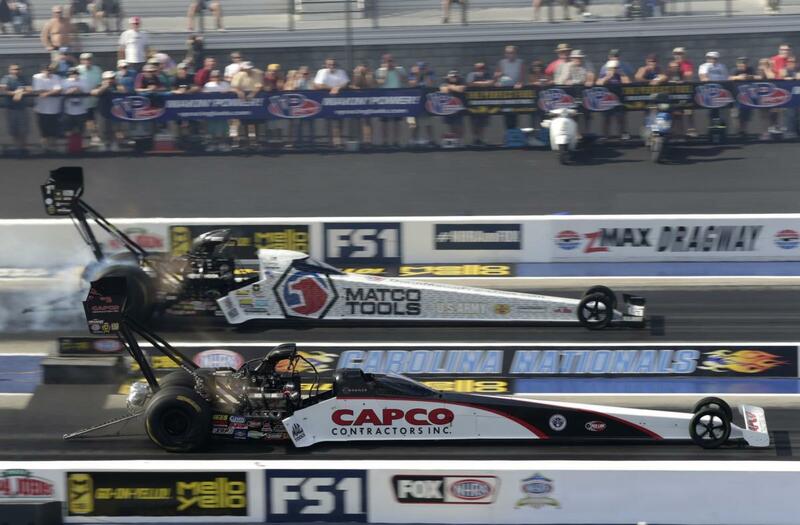 Formerly the first race in the Countdown, NHRA Carolina Nationals has a reputation for close competition that will further ramp up the need to win as the Countdown draws to a close. Doug Kalitta (Top Fuel), Robert Hight (Funny Car), Tanner Gray (Pro Stock) and Eddie Krawiec (Pro Stock Motorcycle) were last year's winners. 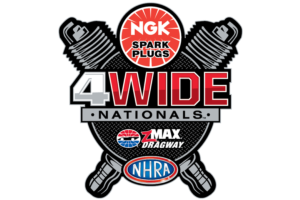 Hight and Gray join Steve Torrence (Top Fuel) and Matt Smith (Pro Stock Motorcycle) as points leaders heading into zMAX Dragway. Last year, Kalitta entered the first race of the Countdown at zMAX Dragway as a fifth seed, but took home his first zMAX Dragway victory and moved to the top spot in points after the top four drivers failed to advance to the finals. Robert Hight bested John Force Racing teammate Courtney Force in the Funny Car finals to claim his fifth win at zMAX Dragway and his third in the NHRA Carolina Nationals. Denver, North Carolina's Tanner Gray kicked off last season's Countdown with his first win at the Bellagio of drag strips. Gray, the 2017 top rookie performer, is the youngest national event winner in NHRA history. In 2017, Eddie Krawiec's Countdown kicked off with a narrow victory over his teammate and No. 1 Pro Stock Motorcycle qualifier Andrew Hines. Before nitro qualifying at this year's NHRA Carolina Nationals, fans are invited to participate in a guided walking tour of the NHRA pits at 12:45 p.m. on Friday, leaving from the Mello Yello Welcome Center in the Fan Zone, followed by a Pro Stock Motorcycle autograph session at 1:15 p.m. at the NHRA midway display. Saturday's on-track action will be preceded by "Nitro School," at 10:45 a.m. at NHRA's midway display. "Nitro School" is designed to educate first-time fans on what they're experiencing at the races, from engine teardowns, to the sensations of nitromethane-powered dragsters, to the physical impact of going zero to 330 mph. Fans have the chance to walk on the racing surface during Sunday's Sealmaster Trackwalk at 10:30 a.m., followed by pre-race ceremonies, driver intros and roundtable discussions. As always, fans will have the opportunity to interact with their favorite drivers as they're granted an exclusive pit pass to the most powerful and sensory-filled motorsports attraction on the planet. This unique opportunity gives fans direct access to the teams, allowing them to see firsthand the highly-skilled mechanics service their hot rods between rounds, and get autographs from their favorite NHRA drivers. Fans will also want to visit NHRA's popular Nitro Alley and Manufacturers Midway, where sponsors and race vendors create a carnival atmosphere, with interactive displays, simulated competitions, merchandise, food and fun for the entire family. Additionally, the NHRA Welcome Center will offer for daily guided walking tours through the NHRA pits. Weekend schedules, maps and historical NHRA info will be available to help navigate the Carolina Nationals. Mello Yello Drag Racing Series qualifying will feature two rounds at 3:30 p.m. and 6 p.m. on Friday, with the final two rounds of qualifying on Saturday at 1:30 p.m. and 4 p.m. Final eliminations are scheduled for noon on Sunday. Along with the exciting on-track action, NHRA Carolina Nationals will support those impacted by Hurricane Florence as drivers carry a #CAREolinas initiative decal on their hot rods. The hashtag signifies the unifying movement to help connect and amplify recovery efforts across North Carolina and South Carolina after last month's hurricane. Tickets for children 13 and under are FREE with any paid adult ticket; to purchase general admission or reserved seats please go online or call the ticket office at (800) 455-FANS (3267).